What will appear in your mind when hearing a word “t-shirt”? Something refers to casual or comfort clothes? Or something you like most to wear? Probably, this is kind of clothes that we can find in most people’s wardrobe. T-shirt not only has function to protect our body in casual way, but can also express our character, mood and passion by using our desired custom t-shirt. For example, if you always wear black t-shirt with skull image, people will easily guess that you put metal music as the most favourite. Nowadays, digital era has made many people become more creative. Some of them are pushed to increase their creativity because of job requirement. But a lot more people tend to be different, unique and more creative than other people do, even in their personal style. So, if you think custom t-shirt is just casual and comfort clothes you like to wear, won’t you afraid that your opinion sounds so.....yesterday? Hey dude, this is the time when you can take much benefit and chance as long as you know what other people need and you can explore much creativity in you. I give you an example. Some years ago, people only write their blog as a hobby. 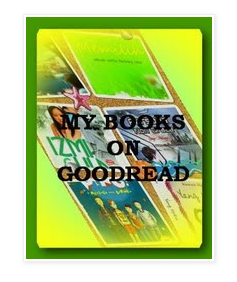 They write to express their mind and tell the world about their daily activities. But now, many bloggers can make money with blogging. Why? 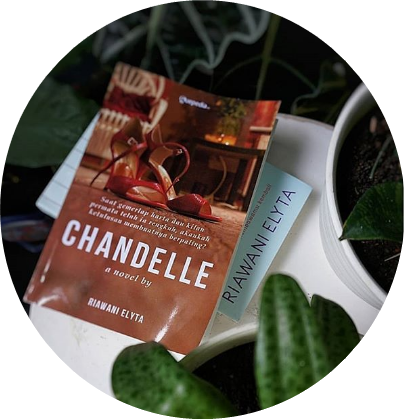 Because a lot of them have been improving their creativity in writing content and really know how to monetize their blog. 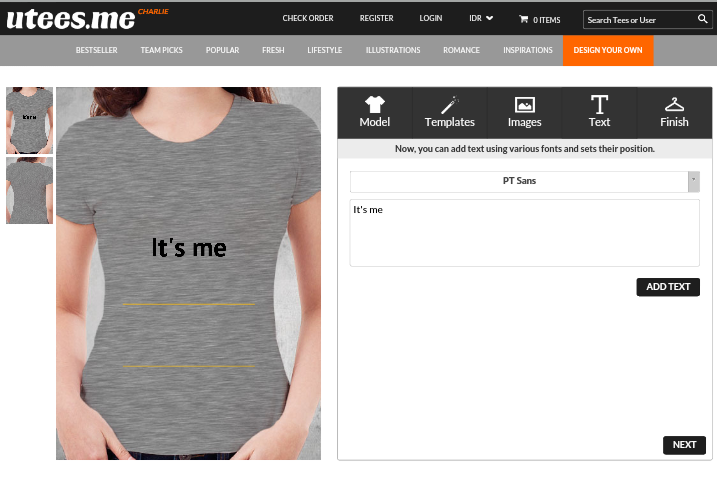 So, what do you think if I say, now you can design your own t-shirt, share it to the world and get paid? What? 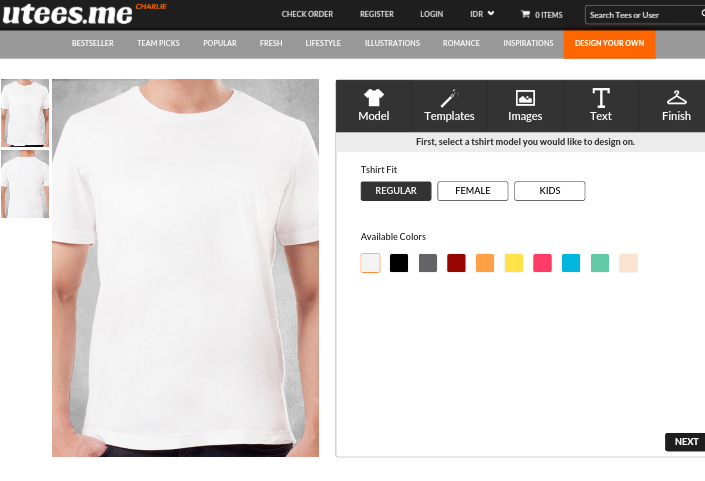 Design t-shirt and make money? Yes. It’s true. 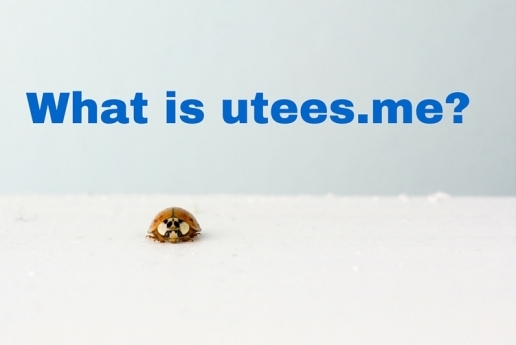 Everybody can do that simply and easily by using utees.me. 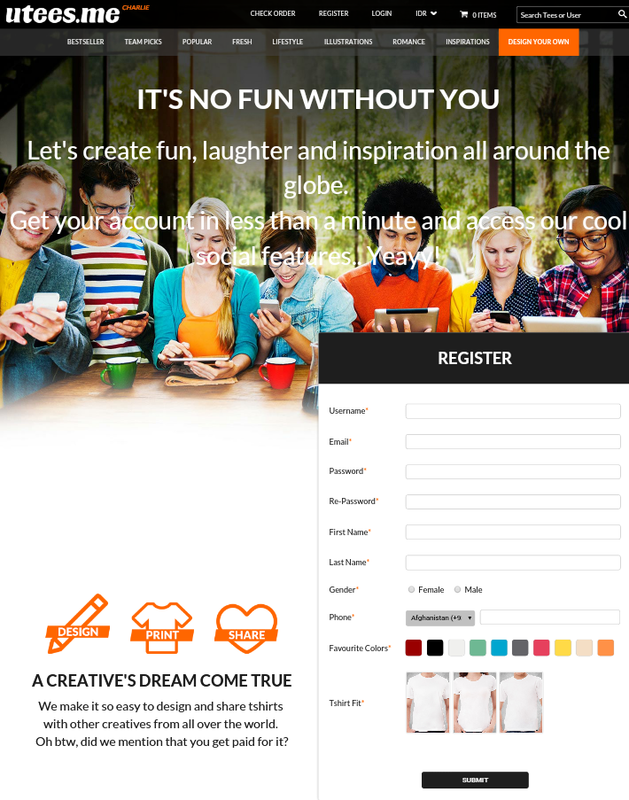 This is a platform for everyone to design easily, print and share their tshirts with others from all over the world. You can also do that by using this user-friendly platform even you never design t-shirt. If you’re wondering how to design t-shirt easily and get paid, follow these 3 (three) steps to being your design t-shirt online journey. Let’s check it out. First, you must have account in utees.me. And this process only takes you a few minutes to register. 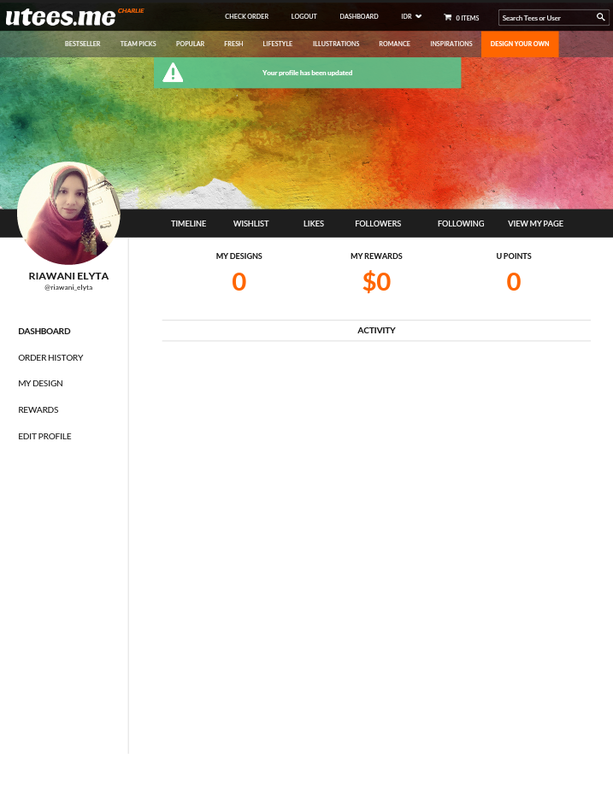 Next, click on “design your own” on the navigation bar that will take you to design app. 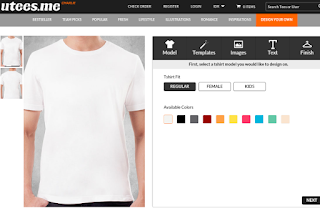 From this step, you can start to design t-shirt by following these simple steps : Select the model and colors - choose template - add image and text – edit – finish. 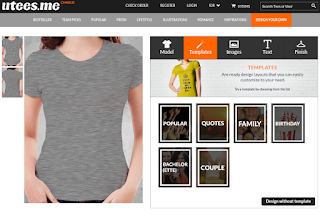 Choose appropriate category of your t-shirt design, then click 'save and publish'. Congratulation! You’re already have your own designed t-shirt and ready to be printed and sold. But you also have option to click ‘save as private’, if you don’t want to publish your design. After finishing your design, you can order it in any size, fit and colour by adding your choice into the cart. You want to order your own design? Just go to the dashboard, click on My Design and click the image you want. You can also select the desired color and fit accordingly. Then click add to chart and you’re ready to proceed the payment. Once your artwork published, you will earn $1.11 per every design printed and sold. This earning will be accumulated under your reward page. You can redeem your earning anytime you want, with minimum amount only $50 per redemption. It is suggested to redeem in bulk to save on bank transfer fee. Because you should pay $15 per redemption as bank transfer fee for the bank outside Indonesia and $3 for the bank in Indonesia. 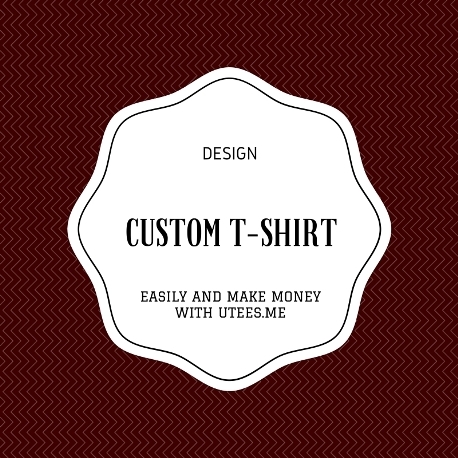 Now you can see, how easy to design custom t-shirt and make money with utees.me, right? Why you should choose utees.me? 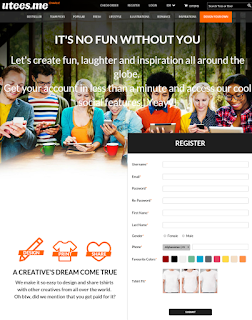 Everybody can design t-shirt in this platform even for someone who never creates one. Just follow the simple guide on Design App and you can create any kinds of design you desire. 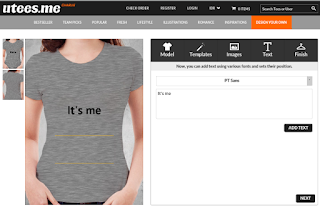 Once you publish your design, you’re already become an online t-shirt creator. This site uses Secure Socket Layer (SSL) protocol to encrypt all personal information and work with the best payment getaway partners. The material of the t-shirt is very cool and comfortable. It’s made of 100% cotton that can minimize shrinkage and maximize softness. All t-shirts here have the same price at Rp.144.000,-. All t-shirt displayed are available in 19 sizes and 3 different fit to choose (regular, female and kids). Very soon, more fits such as v-neck, long sleeves etc also will be available. That’s true. 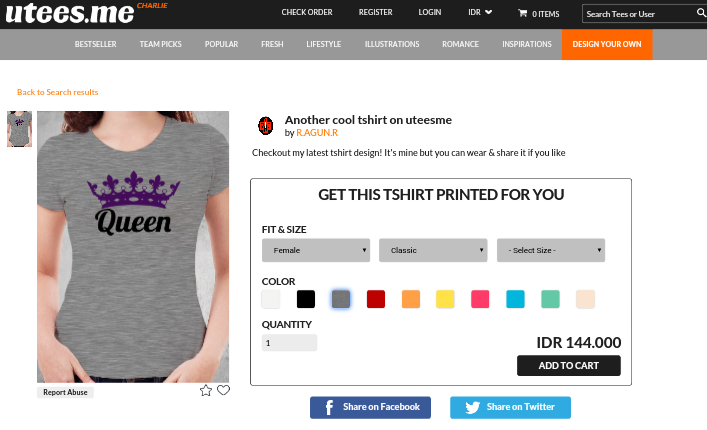 Utees.me serves the member with free shipping cost for orders within Indonesia. 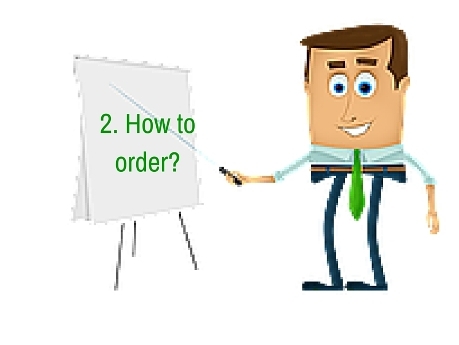 Usually it takes 5 – 10 business days for shipping until you get your t-shirt order. 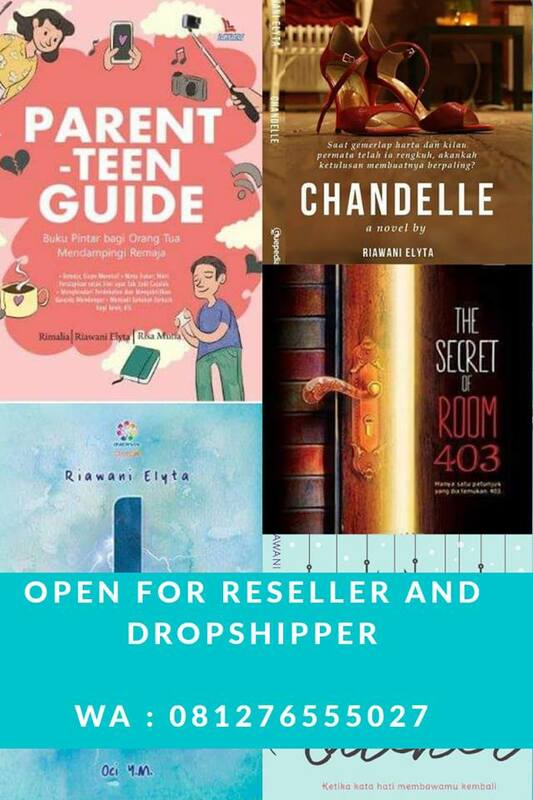 For orders to other country, you can check the shipping cost at the available list here. This is a kind of business with zero investment and zero risk. Surely, you can get more earning by selling the massive amount of custom t-shirt. Just share your design to social media by clicking the button “share to facebook” or “share to twitter” on the right side of your design, you’re already have chance to reach a lot of prospective buyers. You can also offer your design to the community with large number of members, and save the cost by placing bulk order with minimum order 12 t-shirts of the same design. By using utees.me, it’s easy for you to make money in very enjoyable way that you never experience before. 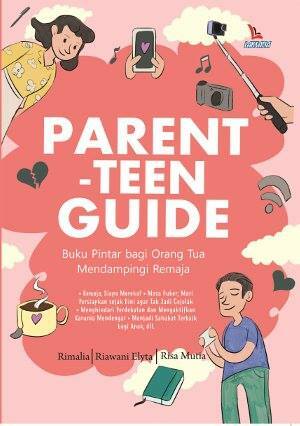 Its cool sist.. ^-^ I wanna have one. I have to choose this custom T-shirt to express my creativity too. Thanks for sharing. Kece dah pake bahasa Inggris (sekalian belajar). 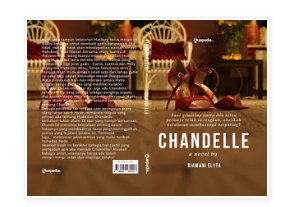 cuma numpang desain aja bisa kan ya kak? asikk benerr..
Btw, I haven't known about utees me, before. Thanx for sharing.